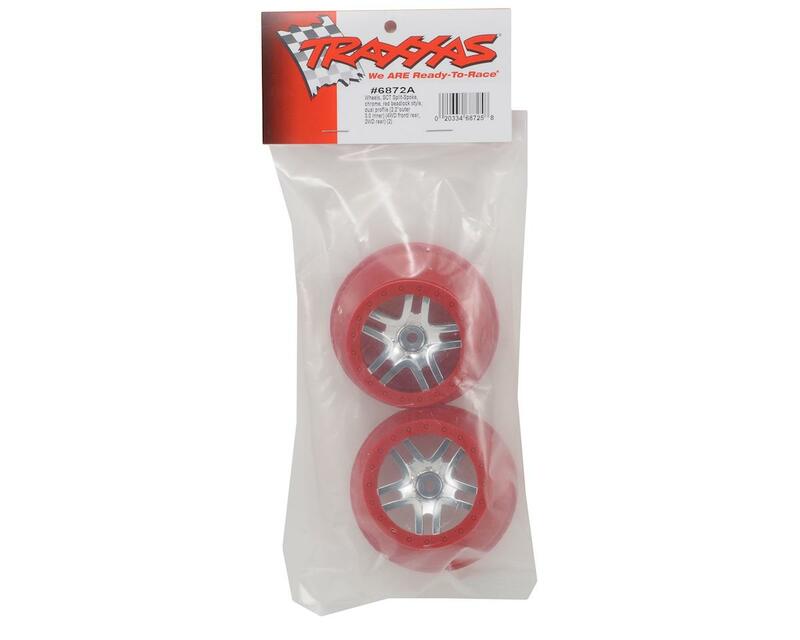 This is a set of two Traxxas 2.2/3.0 Dual Profile Split Spoke SCT Rear Wheels, and are intended for use on the front and rear of the Traxxas Slash 4x4 and the rear of the Traxxas Slash. 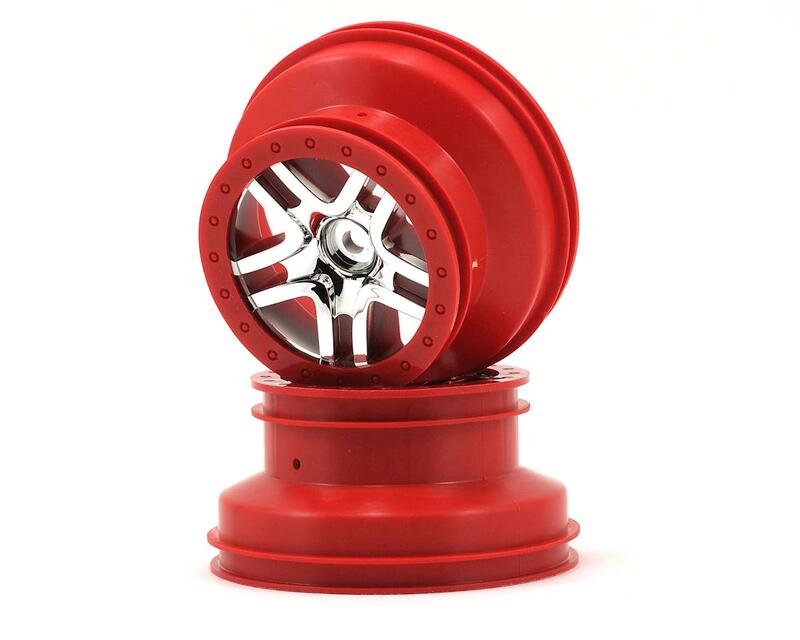 The design of the SCT wheel features a split 5-spoke center and color molded beadlock detail for a realistic look. Fully compatible with factory Traxxas and aftermarket 2.2/3.0 tires, the wheels feature 12mm hexes and the same offset as Slash 2wd rear wheels.